If you are conscious of your weight, there’s a good chance that you stay away from restaurant foods like a plague. After all, you don’t have the control in selecting the ingredients and preparing the meals served to you unlike in eating a home-cooked dish. But eating out does not always have to translate to unwanted calories. There are a lot of ways for you to control your calorie intake and still get to enjoy eating out with your family or friends. You can limit the amount of calories you consume in a day even if dine out. The key is planning and sticking to the plan no matter how sumptuous the photos of food on the menu look. 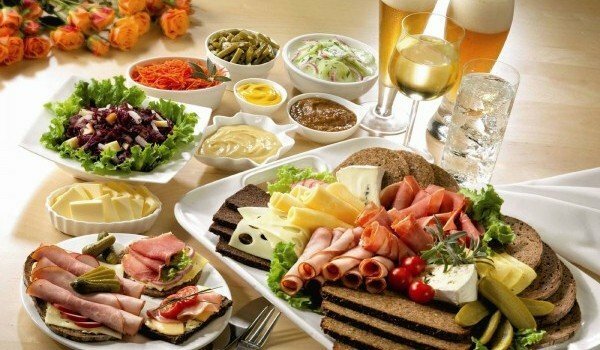 When you have decided on the day and time to dine in a restaurant, line up on the foods you’ll consume for the rest of the day. So if you are eating out at night, have a light lunch. Avoid skipping meals because there’s a huge chance you’ll end up eating a lot later. As much as possible, avoid buffets because it can really put your self-control to the test. You can also restrain your calorie intake by ordering meals in regular portion sizes, instead of super sizes. If you feel that a dish you ordered is too much for you and your companions, you can ask the waiter to wrap up half of the entrée before serving the food. You can also be upfront with the restaurant servers and ask them the ingredients used in the foods you are interested in. The preparation of the dishes is also something you’d have to find out, as grilled chicken is way healthier than fried chicken. And ask the waiter to remove appetizers like a bowl of peanuts after you have nibbled a few of these. Mindless nibbling can cause you to consume more calories than you planned. Certain foods that are common in restaurants will help you maintain your svelte figure while still enjoying your meals. Broth-based soups such as Chinese wonton soup and tortilla soup make for a good yet healthy appetizer. Raw vegetables are great especially if you pair them with a low-calorie dip. The same goes for spinach salads with dressing on the side, but go easy on the cheese, bacon bits and anything that has mayonnaise like tuna salad. Grilled, broiled and roasted meat is good for your diet. You can also chomp on broiled, steamed or baked seafood. If steak is to be served, just make sure that you don’t consume too much of the sauce. A reasonable portion of the steak is six ounce. You won’t go wrong with sandwiches especially multi-grain breads, whole wheat and pita. The sandwich, however, should have low-fat cheese and minimal amounts of mustard and ketchup. To add more flavor, ask for more roasted lettuce and tomatoes. Of course, you can enjoy fruits as dessert. You may also have sherbet for this part of the meal. There are certain words that you should be wary of since the foods they describe are sure to be rich in calories. These are sautéed, pan-fried, cheesy, breaded, deep-fried, creamy, and crispy. When you eat at a Chinese restaurant like PF Chang’s, choose dishes with plenty of vegetables. Chinese food is notorious for having a lot of salt, thus you should minimize the use of sauces when enjoying their meals. Avoid the crispy fried noodles, no matter how tempting it may look like, and opt for steamed dumplings in lieu of fried wantons. If you plan to dine in an Italian restaurant like Romano’s Macaroni Grill, then you have a good chance of following your diet plan. Italians like to eat foods that won’t cause you to gain pounds like bread, pasta, beans, fruits, and vegetables. But this does not mean you’d go ahead and overeat especially dishes with lots of cheese, cream sauce and meat. Some of the usual menu items that you may want to order when you are in an Italian restaurant include whole grain pasta, thin crust pizza topped with vegetables, and chicken with veal cacciatore, a tomato-based sauce. You can also enjoy salad, pasta with marinara, and pasta primavera. For dessert, have fruits and even Italian ice. Mexican restaurant food choices won’t also hurt your diet plans as long as you select the right food items. Avoid hard shell tacos as well as crispy tortillas because these are high in fat. Instead, order burritos or soft tacos. You must also stay away from nacho cheese or fried tortilla chips. Healthier options in a Mexican restaurant food menu include black beans, marinated vegetables, fish tacos, whole-wheat tortillas, and brown rice. You should also ask the waiter to add fresh salsa to your meals as it will make your food more delicious while adding up to your veggie count.